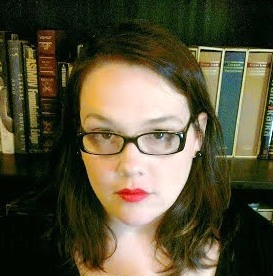 Mary McMyne’s piece “Moon Landing” appears in Midwestern Gothic Issue 15, out now. As long as I have been reading. I moved to Sault Sainte Marie, Michigan in 2011 to take a professorship teaching English and creative writing at Lake Superior State University. Before that I lived in Louisiana, where I was born, and the NYC-area. During the past few years, I’ve been inspired by the extreme climate and rugged wilderness of Michigan’s Upper Peninsula: the tangled woods, the vast expanse of Lake Superior, the unreal blue of Lake Huron. I’ve enjoyed exploring local lakes and islands, picking wild berries, and getting lost on hiking trails. I’ve also enjoyed getting to know other writers and poets from the area through participating in local readings, publishing in the anthology The Way North, and serving as co-editor for Lake State’s international literary journal, Border Crossing. The emptiness, the wide open spaces, the bitter cold—so much about this landscape was foreign to me when I first moved here, compared to south Louisiana and New York City. The remoteness of this area and the vast wilderness that surrounds Sault Sainte Marie initially reminded me of the historic Black Forest in Germany and helped inspire me to begin rereading the fairy tales that informed my chapbook, Wolf Skin (Dancing Girl Press, 2014). I’ve only recently begun to write about this area realistically because it’s taken me several years to soak up the atmosphere and process it, and what I do write still often treats this landscape – in winter, especially – as an unfamiliar setting, comparing my neighborhood during a snowstorm to a moonscape, for example, or the frozen Lake Superior to a vast and mythic sea. I’m not entirely sure, but I’m glad there has been more of one recently. I attended an intriguing panel on the subject of Midwestern Gothic writing at AWP in 2012, and I’ve enjoyed learning about the connections among Midwestern writers’ work through MG. I’m interested in the associations between the idea of the Southern Gothic and the idea of the Midwestern Gothic, just like I’m interested in the associations between Southern and Midwestern manners. There is something still and deep and mythic about both places, but I think the myths are different.